The holidays have come and passed and Valentine’s Day is fast-approaching. It is certainly no secret that some people are utterly clueless when it comes to Cupid’s holiday. If that sounds like it might apply to you, don’t worry; URBANfusion, one of the best places to shop in Skippack, PA, is here to help. For all of the hopeless romantics out there without an idea about how to approach this Valentine’s Day, we have put together a step-by-step process to ensure a successful February 14th. The first step toward a properly-executed Valentine’s Day involves visiting URBANfusion either online or at our store located in Skippack, Pennsylvania. In either case, you’ll find a huge selection of necklaces, rings, bracelets, earrings, and charms. We have something for just about anyone and any style. Begin by browsing our vast inventory of items to get a feel for the types of jewelry that we offer. Whether you’re buying for your wife, girlfriend, mom, or anybody else, there will undoubtedly be something perfect for them due to the easy customization of PANDORA jewelry. Once you have spent some time exploring our store or website, there is a good chance you will come across our incredible Valentine’s Day Gift Sets. These gift sets are the key to a successful Valentine’s Day. Each one contains a combination of beautiful PANDORA bangle bracelets, earrings, charms and more. For example, our ‘Kiss Me’ Bangle Gift Set includes a pink gift box containing a “Kiss” emoji charm, engraved sterling silver bangle, and a pair of Sparkling Elegance earrings. 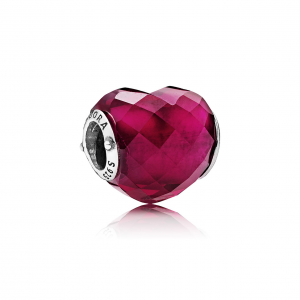 In addition to what is included with each gift set, you can purchase extra charms, such as the gorgeous Fuchsia Shape of Love charm, that can be combined and personalized however you like. Not only will purchasing one of our Valentine’s Day gift sets guarantee a gift that anyone is certain to love, but it gives you multiple items that are sure to complement one another. If you have followed the steps up to this point, you’re pretty much in the clear. All that’s left to do once you have purchased a Valentine’s Day Gift Set from URBANfusion is give it to your sweetheart, who is certain to be ecstatic over what’s inside. There you have it! Once you complete step three, you will have a successful Valentine’s Day 2018 under your belt, and more importantly, a very happy significant other! If you are looking for the perfect jewelry as a gift for any occasion, stop by our jewelry boutique in Skippack, PA. We are constantly updating our inventory with hundreds of unique styles of necklaces, bracelets, earrings, PANDORA charms, and more! Happy Valentine’s Day!